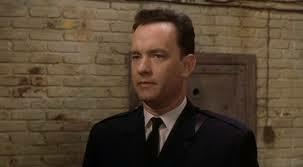 To be perfectly up front, we at IRR are fans of our bosom buddies Scott Dixon and Tom Hanks. Who wouldn’t be? If you love excellence – quality racing and entertaining movies – then these are your stars. They both make a huge splash, either in victory lane or at the box office. When you’ve seen one of their performances, you rarely go away feeling as if it was anything less than big.